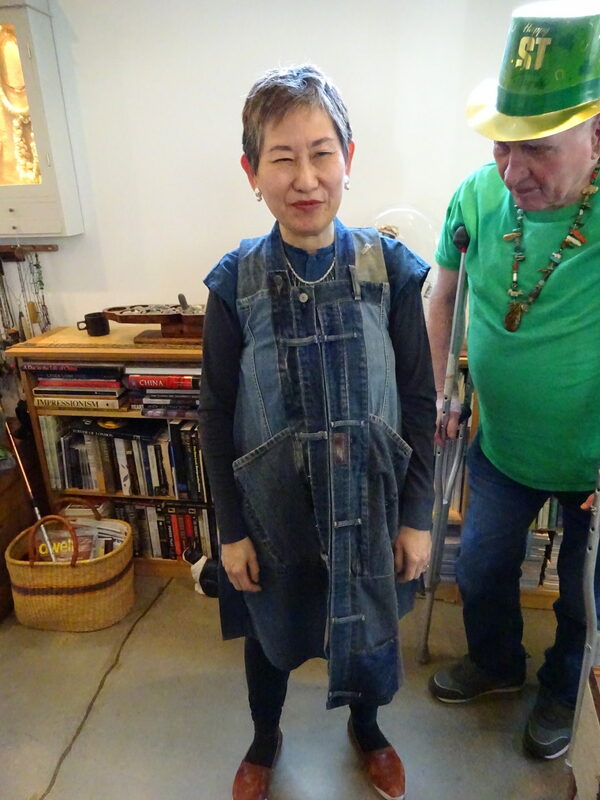 Back in November of last year we posted about the WOW (World of Wearable Art) Party organized by our friend Cynthia Toops. 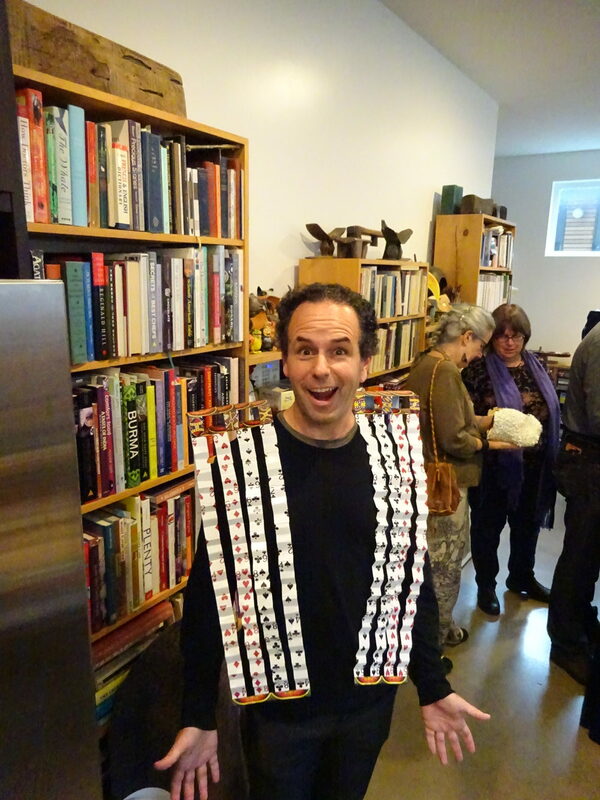 We created a couple of wonderful pieces: the Words Are My Weapon holster made of keyboard keys by Anner and my Double-Decker Dealer Vest made of playing cards. Great fun (many photos on the link above). In March, the second round of the party came up and we got creative again (sorry for not posting about it until now!). This time pencils were our design element of choice. 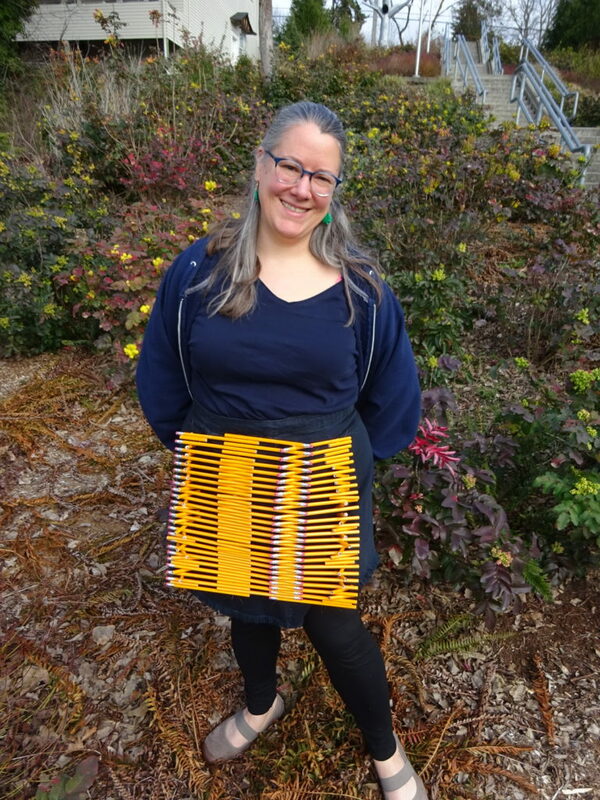 Playing on our love for a good title, even better if it’s a good pun, Anner created her Pencil Skirt! So, so cool. 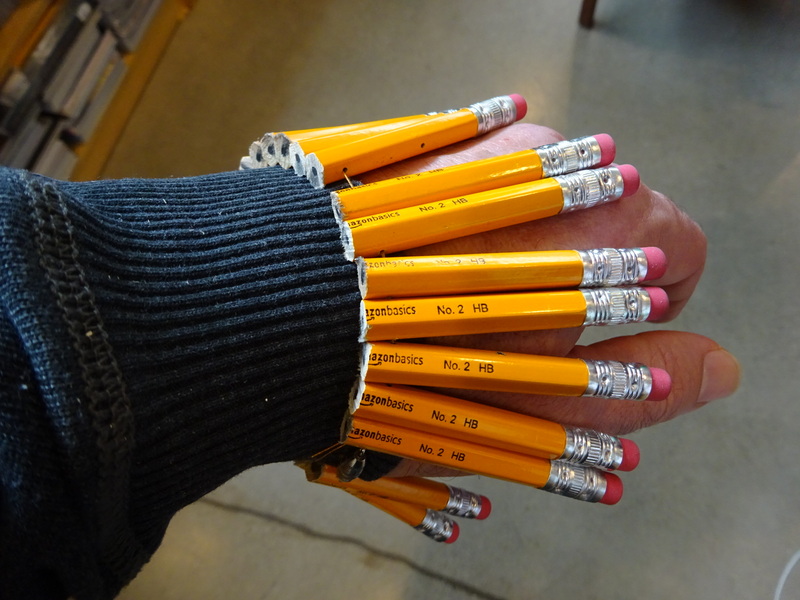 I wasn’t nearly as impressively inspired, but I figured I could at least use my jewelry skills to create an accent piece for myself so I came up with a matching Pencil Bracelet. Kind of felt the erasers should be shooting off when I held my arm out, but they stayed firmly in place. The color made it dramatic if nothing else! 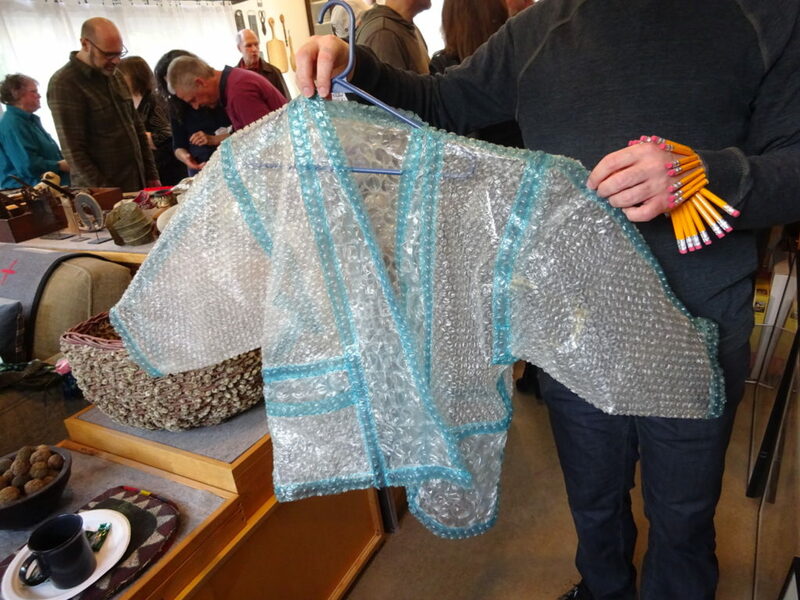 How can you not smile seeing a coat made of bubble wrap? 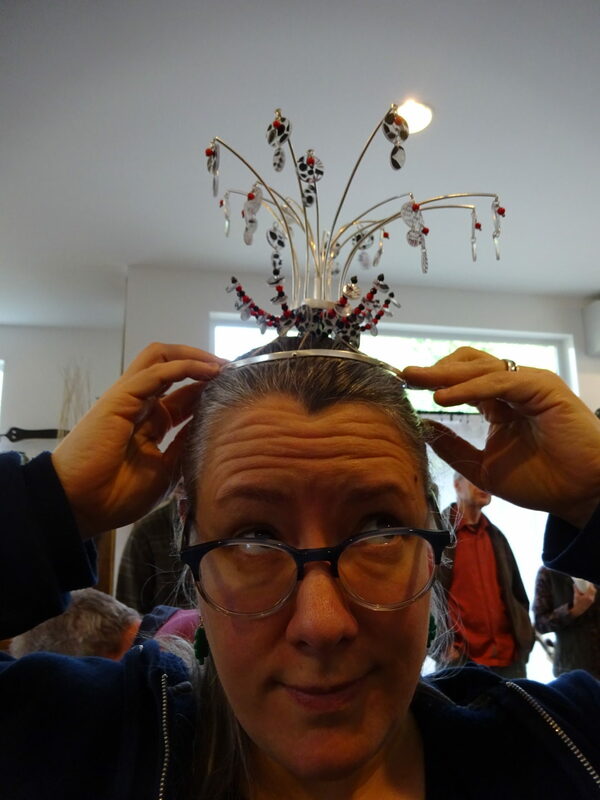 A fine headpiece made of aluminum (I think) with red and black beads along with hand-colored Shrinky Dinks. Cynthia always creates something incredible. 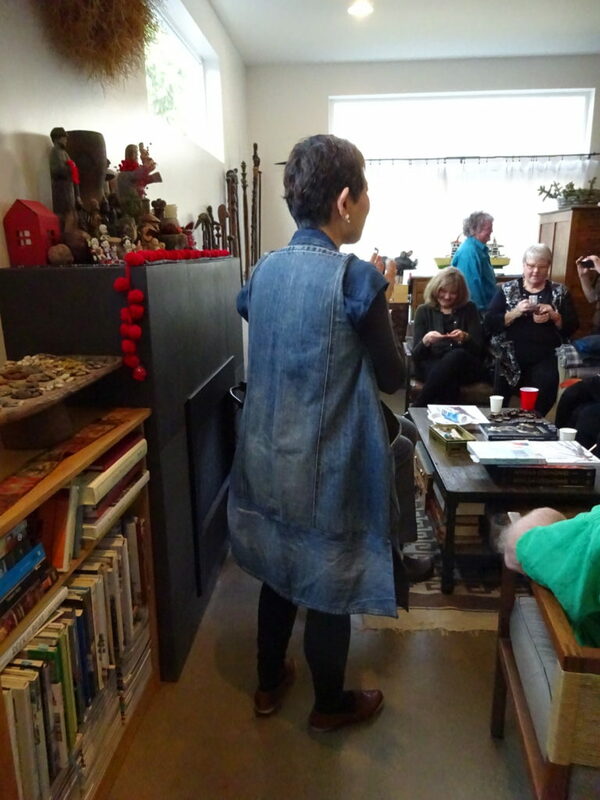 This time she made this magnificent coat/vest/dress made of old blue jeans! 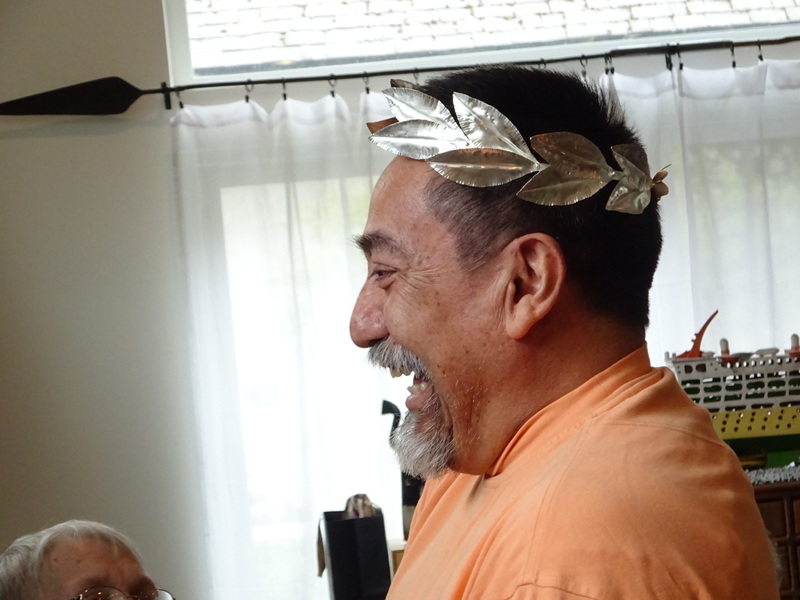 And finally, here’s Juan wearing the reticulated-silver-leaves tiara he created for a local show. It’s quite fun seeing the things folks come up with! Next up…Party #3!!! 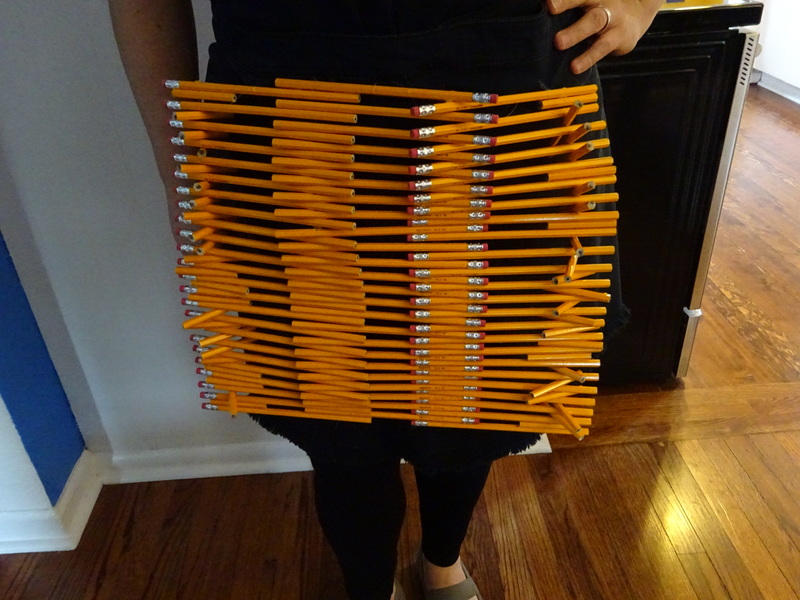 You give new meaning to “pencil skirt.” I just love your creation! You two have terrific creativity that just never quits! Love it.